The Sun in our birthchart represents the pull of our Highest Self, the Christ Spirit, who is constantly moving us forwards and upwards on the evolutionary spiral of life. Even the meanest and lowest of us carries Its spark deep within the core of their being. From the moment of our first release into earthly life, the spirit of the Christ has been calling us back home into its loving embrace. It has never left us and this is especially true during our most traumatic encounters. On the command of the Divine the Angels are there to support and steer us through them. The homewards pull is particularly strong in the approach to, during and after the Christ Moon festival, because it is followed by the Sun’s entry into Cancer, the mothering and nurturing sign of the zodiac. This is the sign in which we learn to appreciate the value of home and mother, traditions and roots. In the year 2016 the Christ Moon takes place less than twelve hours before the Sun moves into Cancer and the Summer Solstice is with us. This multiplies the pulling power of the two forces involved by much more than two. I read this as a sign that the Universe with all its might is trying to awaken as many of us as possible into the conscious awareness of our true nature. Not one single race but all of us together are God’s chosen people. 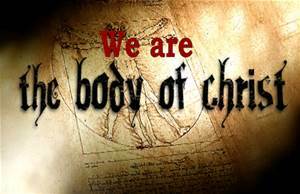 We are part of the Universal Christ’s body. And to assist our race’s evolutionary progress, with the help of the many myths and legends that appeared in our world throughout the ages, the Angels around the throne of the Highest, the Christ Circle, slowly but surely brought us closer to God’s wisdom and truth. The great plan of life provides that this should continue until every last human soul on the Earth plane understands who and what God truly is and that each and every one of us is a young God in the making. Comprehending the hidden esoteric meaning of the stories and parable of the Jesus legend, rather than taking every word of them as literally true and based on historical facts, is the last but one hurdle that to this day has to be overcome by many earthlings. The final and even more difficult obstacle is the total surrender to God. For a long time our earthly selves had their own way – at least that’s what we thought. See the links for ‘Free Will’ and ‘The Fear Of Annihilation’ at the end of this chapter. During first part of our earthly development we are wilful and selfish creatures who wish to please themselves most of the time. There are those who indulge in atrocious behaviour. They may even be proud of what they are doing and thinking they are getting away with it. Oh dear! If only they knew what they are calling towards themselves in coming lifetimes. Read more about this in ‘Human Behaviour Is Chosen’. Studying our lowest character traces at the giving and receiving end in as many lifetimes as this may take, is part of the curriculum of the initial stage of our earthly education. The early lifetimes keep us occupied experiencing ourselves and those around us as jealous, greedy and avaricious beings. That’s why it is not surprising that more than traces of these qualities exist everywhere in our world. Because of this large parts of humankind are struggling with the concept of total surrender to God and would not dream of living in ways that do justice to this the ultimate demand of the Highest. See the link for ‘The Lamb Of God’. But we all eventually reach the point when we understand the laws of the Universe and how they affect all life throughout the whole of Creation, including ours. Because they make a great deal of sense to us, of our own free will we make every effort to conduct our life strictly in keeping with these laws. As soon as we willingly follow the instructions we receive from our Highest Self’s, our consciousness absorbs ever more of Its energies. The more we express our Christ Self, the more we become one with the Universal Christ. To enter us into this elevated state it is not enough to merely go to church on Sundays and there superficially confirm that we believe there is a God. Our whole being needs to fill itself completely with the desire to follow the instructions intuitively received from our inner guidance, the living God within. In this process we become ever more at one with the Christ Spirit, our God or Highest Self, the only one who can dissolve the shadows of the past and transmute them into blessing and healing energies for all life. With the help of these energies the karmic ties and shackles of all our relationships, even the most demanding ones we brought with us into this lifetime, are waiting to be transformed into bonds of love and friendship. These potent expressions of the Christ energies are also flowing into our whole world on other occasions, for example during the Wesak Moon and Festival, as well as the Summer and Winter Solstices or the Vernal and Autumnal Equinoxes. It makes no difference whether we live in the Northern or Southern Hemisphere. 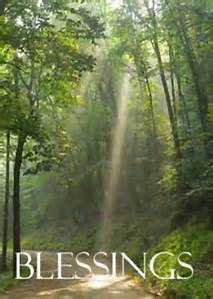 The Christ’s blessing and healing energies simultaneously reach and influence all life on our planet equally strongly. The reversal of the seasons in the hemispheres does not interfere with their flow. Last edited by Aquarius : May 26th, 2018 at 07:42. One Moon cycle lasts approx. twenty-nine and a half days. At the end of each one of these periods a conjunction of Sun and Moon takes place in the Heavens. This is seen on the Earth as the New Moon. The expression ‘the Heavens’ is a symbolism for the abstract, i.e. invisible to earthly eyes, masculine aspect of the highest force of Creation, the Father or God.Mother Earth is a physical manifestation of His counterpart, the Goddess, the great Mother of all life who is the feminine aspect of the Divine Trinity. The ancients thought of each New Moon as a consummation of the marriage between the energies of the Sun and the Moon, Heaven and Earth, from which the Moon is newly born. 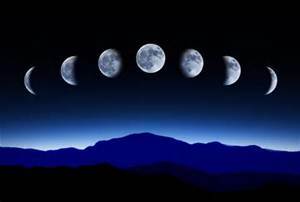 Each new Moon invariably signals a period of rebirth and new beginnings for all life on our planet. If you are planning to get a new project off the ground, this is the best time for doing so. Although this does not guarantee success, if a venture is meant to go ahead and is launched at the time of the New Moon, it will do so with a great deal more vim and vigour than at other times, because the supply of energies available in earthly life has been renewed and is fresh once more. If you watch out for this in future, you may notice that in the run-up to each New Moon, it sometimes feels as if you were trying to wade through molasses. No matter how hard you try and push, nothing will move. Wise ones who notice this wait for the next New Moon, because they know that a very special kind of magic is at work under whose influence things start moving again, sometimes with breathtaking speed. Whenever the Sun and the Moon are in opposition to each other in the sky, a full Moon lights up our world at night and the time has come for giving thanks for everything that is and ever has been in our lives. The time around the full Moon is also an occasion for finding enlightenment. But what exactly is that? Spiritually, not knowing is darkness and knowledge is light. Each time we find the answer to one of our questions, another ray of the light of knowledge penetrates our inner darkness and disperses a bit more of it. That is how, with the passing of time, step by step our whole consciousness fills ever more with the light of understanding. This hardly ever happens through majestic earth-shattering and world-changing flashes of inspiration, like the main one of the Buddha legend. Yet, if in future you watch out when a full Moon lights up the darkness of our nightly world – there’s much meaning in that, come to think of it – you may notice that sometimes you suddenly understand the causes behind difficult life situations and relationships. Insights could dawn inside you that will somehow make things more bearable and you may also get a better idea of what to do about them. It is possible to help things along. Whenever you encounter circumstances in your life that are puzzling you and are hard to resolve, ask your inner teacher, the wise one within, the Moon, the Universe – whichever appeals to you most. The answers are sure to come, sometimes when you least expect them. To ensure that you are ready to receive them, set aside regular times for quiet reflections, contemplations and meditations. Why The Name The Christ Moon? And now let’s take a look at why the full Moon in Gemini is called the Christ Moon. The superconscious faculties are the most important part of our earthly self’s Divine inheritance. The mutable Fire sign Sagittarius and its house, the ninth, are the domain in which this part of our being is developed until it has been fully integrated into our character make-up. Each subsequent lifetime that takes us through Sagittarius or the ninth house brings further opportunities for a bit more of these faculties. It takes many lifetimes of going round and round the zodiac until this part of our nature has fully unfolded and our earthly self has evolved into a Christed One in its own right. During the Sun’s annual transit through Gemini the full Moon takes place in Sagittarius. Gemini represents the earthly mind and Sagittarius its heavenly counterpart, the great Universal mind. Sagittarius is the mutable Fire sign that disperses God’s creative ideas, known to the ancients as the fire of the God’s. This fire is constantly coming forth from the masculine aspect of the Divine Trinity, the Great Father, into the whole of Creation. Naturally, His ideas are also flowing into us and our world. And all of us can receive them as long as the receiver/transmitter station of our earthly mind is tuned into the right frequencies. This is how the full Moon in Gemini brings an unhindered flow of energies direct from the Christ’s superconscious mind into our earthly minds. This makes the link between the Highest forces of life and humankind much more effective than at other times and an extra powerful outpouring of the Universal Christ’s blessing and healing energies into all aspects of earthly life takes place. Those who align themselves to the Christ’s gentle, kind and loving energies add their own whole being to this upliftment for our whole world. We earthlings do well to celebrate every full Moon, as each in its own unique way provides us with additional bursts of the Great Mother’s love, wisdom and truth to help us and our world to grow in understanding. Every bit of it is Her gift and this can be much more easily recognised during the times of the full Moons in Taurus and Gemini. Physically as well as spiritually, each full Moon reflects the maximum amount of the Sun’s light onto the Earth. Esoterically, light is God’s wisdom and knowledge which throughout the ages has gradually dispersed ever more of the darkness of human ignorance. Astrologically, the Moon is the symbol of our soul and its earthly personality with its many and varied experiences, through which we all have to learn and grow. Thus, our soul – the Moon – slowly gathers light, i.e. knowledge and wisdom from the Sun – our Highest Spirit Self – that disperses the darkness of the earthly self’s ignorance. By sharing what we find with others so that it lightens up their darkness, God’s eternal wisdom and truth are reflected back into our world where they grow ever stronger. The soul is the memory bank in which every bit of knowledge the earthly soul gathers is stored. The inflow of the Christ energies in the approach to the Christ Festival and for quite some time after it has the power of bringing healing and peace through enlightenment to all who are ready for it. For a long time all life on our planet has unconsciously taken part in the festivities on the highest levels of life. The Angels around the throne of the Cosmic Christ, the Christ circle, are calling those who have woken from their spiritual slumber to consciously take part in them. May any privileged spiritual knowledge we are finding never be used for selfish purposes, but only for lifting our whole planet and all its lifeforms in the visible and invisible world into the blessing and healing power of the Cosmic Christ, our true Lord and Lady, Master and Mistress, our Highest or God Self, in whom we are all one. Part of the human predicament in earthly life has always been that we can only learn to appreciate the value of anything through the loss/lack of it. This is also true for our inner connection with God. That’s why during the first stage of our earthly education, we lose the conscious awareness of our inner bond with each other and God. And that explains the lack of understanding what God really means one encounters in young and inexperienced souls. The procedure ensures that once the connection has been consciously restored, we value it so highly that we make very sure never to lose it again. This educational phase lasts as many lifetimes as are required to forget our true nature and our relationship with God. We then suffer from the condition known as complete God-lessness. Make no mistake about it, a state of suffering it is. However, it is only necessary for the time it takes until our superconscious faculties begin to open and unfold. The worst feelings that result from this state of consciousness are a sense of being lost in the Earth’s environment and of not belonging here, which grows ever stronger. It is intended to be but a temporary condition that, when these feelings get too bad and overwhelming, we should go in pursuit of something that will help us to overcome them. Without being aware of what we are doing, we are in search of soul healing and that can only come about through re-establishing our inner connection with God and all life. Although this comes as news to our earthly self, our spirit and soul knew all along that in truth none of us can ever lose it. May you be among the selected ones who are capable of receiving the inspiration of the Highest. Regardless of the fact that our earthly self for a long time is unaware of it, the inner link between the Christ Spirit and humankind has never been disrupted. Over the ages it merely changed into an unconscious one and for many of us at present it is turning into a conscious one again. 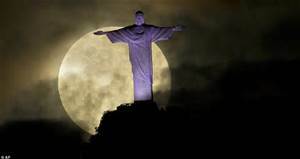 At the time of the Christ Moon and the Christ Celebrations the Christ energies are particularly potent and can be felt and received much more easily on the Earth plane. This is not only the case at the exact time of the two Full Moons, but also in the run-up to them and for some time afterwards. Therefore, in our meditations, reflections and prayers let us join forces and call upon God and the Angels to teach us how to lift us and our whole world into the deepest innermost heart of the Universe. May each one of us be used as a channel through which Its blessing and healing energies flow with ever increasing force into every human heart and soul in this world and our other world, and from there into our planet’s soul and the soul of the whole of Creation. Through this our own energies are cleansed and purified, every aspect of our being heals and we are growing more Christ-like ourselves. In the process of becoming an ever clearer, brighter and purer conduit through which the blessing and healing power of the Christ energies can flow into our world, we evolve into a Christed one in our own right. For true and lasting peace to establish itself on the Earth the labour of our hands is as important as that of our hearts, minds, spirits and souls. It can only come through everyone’s concentrated efforts to radiate nothing but gentleness, kindness and love into everything that comes our way. We need to hold steadfast onto our inner conviction that we trust the Great Architects plan of life and that we our world will forever be resting safely in the hands of God and the Angels. This is the most vital contribution we can make towards bringing our new and peaceful world into being. Another important requirement for the reign of peace in our world is never to sit in judgment over anyone. It needs bearing in mind that for as long as we look at our world with earthly eyes, it’s impossible to perceive another’s spirit and soul. Even if we think the people around us are ordinary and not particularly outstanding human beings, every one of us, even the lowest of the low, has this aspect of their nature. Without us ever catching a glimpse of it, it could be filled with light and they could be carrying the jewel of love in their heart. And if we wish to be loved and respected by them or anyone else, there is only one way of going about it in earthly life and that is by showing others our respect and loving them first. Last but by no means least, let us give thanks and praise to our Creator that the wisdom of the great plan of life provided that the Angels and Masters, friends and helpers in the world of light, would forever be guiding and protecting us – most of all against ourselves and the destructive urges of our lower nature. How hard all those behind the scenes of earthly life must have worked throughout the ages to bring us and our world as much as we could understand of the Christ Spirit’s light, in the form of myths and legends that could easily be grasped by earthly minds. Last edited by Aquarius : May 29th, 2018 at 08:03. The following is the essence of some of the White Eagle group of guides’ words of wisdom about the significance of the Christ Moon. The first one is from Stella Polaris June/July 2008 ‘The Spiritual Sun’, an inner teachings by White Eagle: ‘Many confuse Jesus of Nazareth, Jesus the Master, with the bearer of the Christ Light. Let us get it clear. The Light is the firstborn of the Great Father/Mother of all life. Christ is the highest initiate from the Sun. S/He is the bearer of the light and the firstborn of the Great Father/Mother of all life. The fourth message is from the White Eagle Lodge’s News Flash June 2015: ‘At the time of the full Moon in Gemini a great festival, known as the Christ Festival, is taking place in the Heavens. An exceptionally powerful spiritual outpouring from the Christ Spirit’s heart flows into all human hearts and souls. It is a ceremony that takes place on the plane known to us as white ether. That is the level of consciousness where all souls can hold communion with the only born Son/Daughter of the Great Father/Mother of all life, the Cosmic Christ. The Christ festival takes place in the plane of reunion and true kinship with all life. 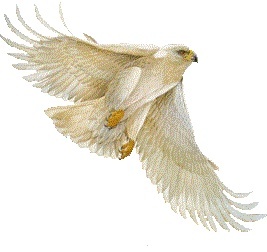 Last but not least, the essence of the White Eagle Monday Thought 20.6.2016: ‘At the time of the Christ Moon the Christ ceremony, one of the greatest Cosmic initiations, takes place. This is the mystical marriage between Heaven and Earth when all souls in earthly life are swept up into the vast concourse of souls who have risen above that level and are now giving of their light to the Earth. For most of you this ceremony occurs in the hours of dreamtime and unconsciousness, but those who are ready can participate in full consciousness in this Christ Festival.